ESCONDIDO — With less than one month until the election, city council candidates here are making their final push. Last week, the four candidates — incumbents Olga Diaz and Mike Morasco and challengers Joe Garcia and Ingrid Rainey — plus county supervisor candidate Kristin Gaspar, took part in the Chamber of Commerce’s forum. Each answered 10 questions concerning some of the city’s most pressing needs as The Coast News reported last week. This week is a continuation of those responses. 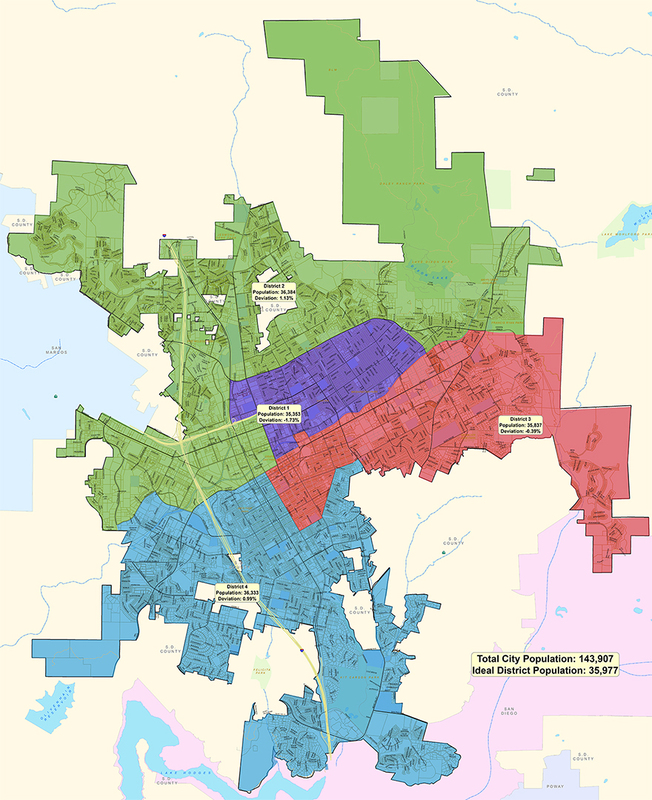 Escondido changed to district voting several years ago, as Diaz and Garcia battle for the District 3 seat, and Morasco and Rainey face off for District 4. One question noted the city’s dependence on sales taxes, which make up a significant amount of its revenue. All four explained they are business friendly, but differed slightly in their responses. Garcia quoted stats of how Escondido has seen a spike in new businesses over the past six years. He, along with Morasco, said more than 400 businesses have started over the past year and about 1,700 since 2010. Morasco also cited how $1 billion has been invested in the city over the past several years. Rainey, meanwhile, said the city must continue to invest in various businesses going forward. Diaz, however, said it is critical for the city to diversify its businesses. She explained how the city budget was crippled during the economic crisis due to being heavily invested with sales taxes. In addition, she said small business applications and licenses must be quicker to process and said an online process should be instituted. As for the budget and financial reserves of the city, Morasco said the 2009 financial crisis “eroded” the city’s reserve fund. At one point, the city had a $16 million deficit, but in the past six years has built an $8 million surplus with $17 million in reserves. He said the quick turnaround speaks for itself. Rainey, meanwhile, said the city must proceed with smart investment with its surplus. However, she noted she is fiscally conservative and only options with good returns should be considered and the city cannot spend what it doesn’t have. Garcia echoed those comments saying the city must be “careful” on how to spend its revenue. He added it is critical for the council to be fiscally responsible. Diaz, meanwhile, said the 2009 crash crushed city revenue, relating to her point about diversifying business. She said the city would only touch reserve funds in emergencies and noted the reserve fund balance has remained at about $17 million over the past 10 years. Of the assets and challenges in their district, Diaz said the old Palomar Hospital has become a sore spot. However, she said it is a “dynamic opportunity” to redefine the urban core of Escondido by transforming the old hospital into something new. In addition, she said the district only has one park, Mountain View, so the city must make efforts to increase green spaces. Garcia, meanwhile, said the people and businesses make it an asset. He also noted the hospital is a challenge, but forging partnerships can help turn the blighted area into one people can enjoy or work. Morasco said the southern part of the city has plenty to offer including the Westfield mall, car dealerships and Kit Carson Park. However, graffiti throughout the district poses a problem. He said it represents gang activity and must be dealt with because it is a crime.